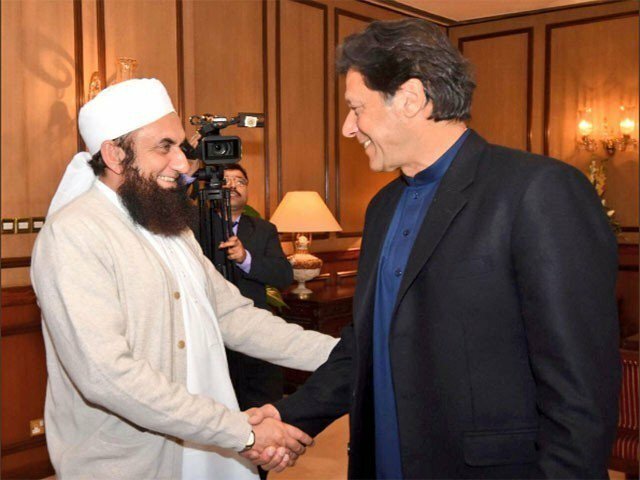 Prominent evangelist and Islamic scholar Maulana Tariq Jameel met Prime Minister Imran Khan at his official residence in Islamabad on Tuesday. Senior leaders of the ruling Pakistan Tehreek-e-Insaf (PTI) – including Naeemul Haq – were also present during the meeting where different matters were discussed. This is Maulana Tariq Jameel’s first official meeting with Imran Khan since the latter assumed the charge of prime minister of Pakistan in August, this year. Last week, the prominent evangelist, while addressing a symposium on population control, had saluted the prime minister for his vision to turn Pakistan into an Islamic welfare state on the model of Madina. Speaking as the chief guest at the symposium, titled “Call for Action”, the prime minister had said rule of law was the foundation of the first Islamic state of Madina.